ZADA: the “Zwift Anti-Doping Agency.” The vast majority of Zwifters don’t even realize it exists, since it is a relatively new program working mostly with elite racers. 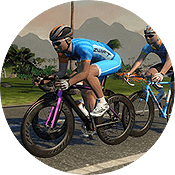 Managed by volunteers from the Zwift racing community, ZADA exists to help ensure fairness in Zwift racing. The purpose of ZADA is to have an objective, impartial review of whether someone’s performance is plausible rather than have long Facebook threads of uninformed opinions on whether not a performance is real. 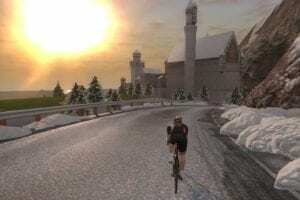 In a way, the good folks behind ZADA are like the big brothers of Zwift racers: acting in the shadows to help them have the best experience possible, and making the hard choices when necessary. Most interventions happen when a rider surpasses 5 w/kg in a race, but may also occur when a rider makes a massive jump in fitness. As of today, ZADA intervention can have three results: “ZADA-approved,” “ZADA-adjusted” and, unfortunately, auto-DQ. Here are a some testimonies to help you understand how ZADA it works. It’s not all sunshine and rainbows… but it can be kinda close. It’s important to remember that Alexis’ experience happened in the early days of ZADA, when the things were still getting solidified and streamlined. Bigger, taller, but still enjoying racing. Another outcome is “ZADA-adjusted,” symbolized by a small balance next to the rider’s name. One of the latest examples of this is Bruno Vieira (PTz), from Portugal. “As the others, I was asked for IRL data,” explains Vieira. “I went and did some tests outside with a borrowed powermeter and I sent them the numbers they asked for. A couple of days later, they came back to me and said that to avoid the problems, I could add a certain amount of weight and height to match Zwift numbers and IRL numbers. It took long conversations but it will be sorted out.” One of the first cases of ZADA-adjustment goes back to last July, and got sorted out pretty quickly as well. Some trainers are now known to be inaccurate watt-wise, so the aim here is to help people to keep racing without having to spend money on another trainer or powermeter. Reaching for the “zwift gold star”. You can simply be “ZADA-approved,” and we are seeing more and more racers receiving this designation. ZADA approval means your real-life ride data has been found to be consistent with your Zwift ride data. Currently ZADA approval is limited to only riders over 5w/kg, and the “gold standard” is having the same power source for Zwift as outside. But the work takes time and a lot of analysis has to take place in order for it to work. At first glance, ZADA can look like the Police, singing in your ear “Every win you take… every break you make… we’ll be watching you.” But in the end, they’re the big brother stepping in when necessary with the overall goal of improving the Zwift racing experience for everyone. 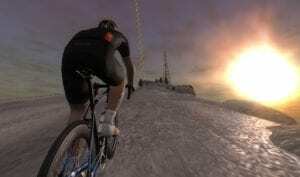 Finally, the thing to remember is this: Zwift-doping isn’t doping. It is, in most cases, gear-related and involuntary, and it can happen to anyone. We all come from different cultures, different backgrounds cycling-wise and otherwise, and the ZADA people do their best to make it as fair as possible. So keep on racing… it’s kinda fun ! For real? I’ll never hit 5w/kg and be under scrutiny but kudos to Zwift. Good piece this. Well done. The issue I have is limited transparency on the data they use to “certify” a rider. If someone becomes certified their competitors should be allowed to see the data and the process used to certify their output. Additionally, as teams become more ingrained and compete against one another there ought to be a central agency with reps from all major teams. This is purely to ensure transparency and fairness. Where should these applications be sent? I have been riding Zwift for a couple of month, Zwift tells me that my FTP is 211, so every time that I race ( just two times so far) I sign into a D cat. So far I have been DQ every race because they say my number are higher… but thats not true from my end..I have entered from the very beginning my accurate weight and info , what can I do? Do a FTP test workout and update your Zwift FTP accordingly. What a load of crap, my son was picked on because he can ride. Piss poor example of cry babies sooking over someone that can ride. I hit 5kw on Christmas eve, so happy with probably the hardest I have ever ridden, got the win and my HR maxed out at 204 bpm!! Thought it might stop so spent the rest of Christmas recovering. Absolutely gutted to see my win taken away and be disqualified, possibly the most painful hour of my life wiped out. I have never cheated and never would and I am using a power meter, my HR monitor dropped out on a few occasions so the avr of around 150 would have raised suspicions as the actual avr was probably more like 180. How do you get ZADA approved? Do I need to keep hitting the 5kw mark and eventually somebody will contact me? I can’t find a way to contact them. So, which trainers are known to be inaccurate??? My Bkool smart trainer that I used before. I can EASY hit 5w/kg FTP with that. With my Tacx Neo I hav 4,2w/kg FTP.